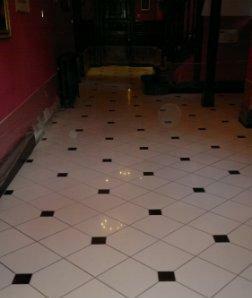 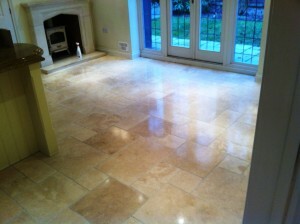 Original Source: Polished Marble Care by Tile Doctor Suffolk. 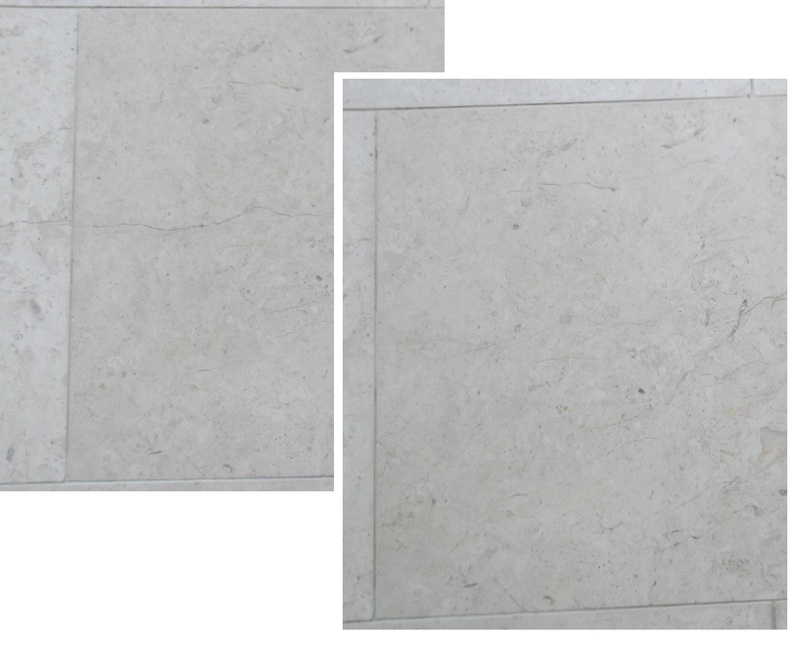 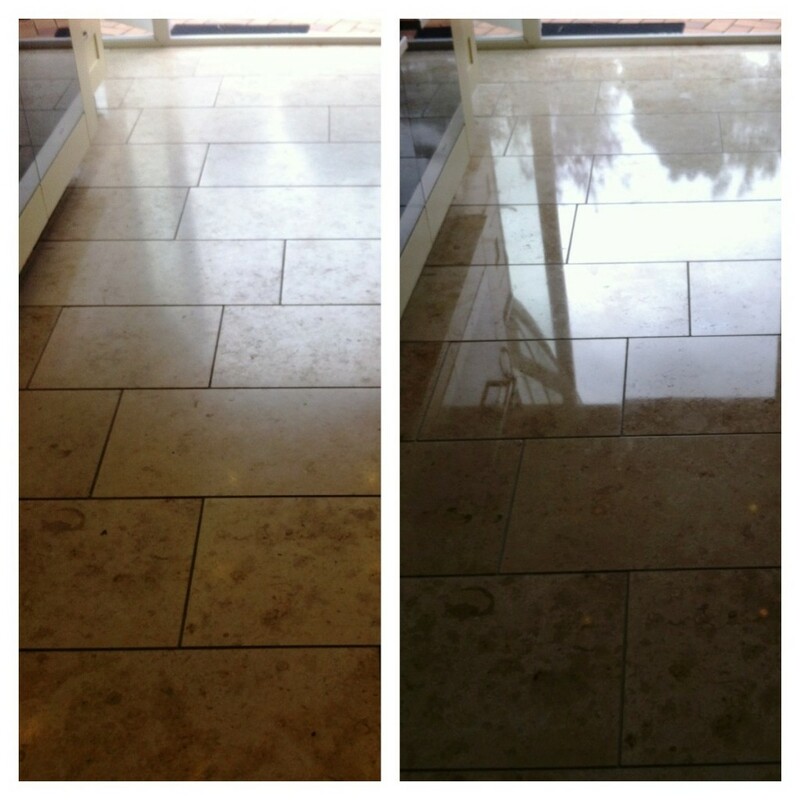 Some photographs below of a Limestone floor in a property in the West Midlands. 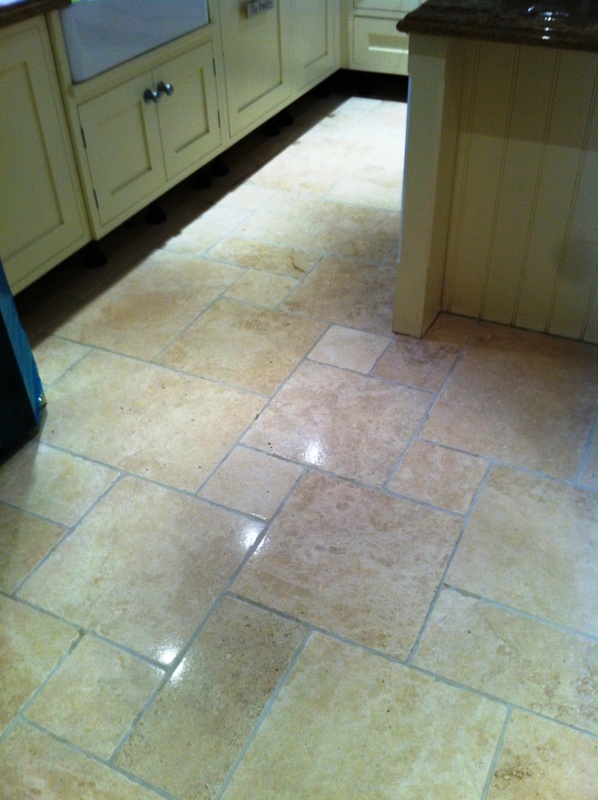 The property had just been sold and the new owners wanted the Limestone floor, which was heavy damaged from pets and the application of the wrong cleaning products, restored back to its original condition. 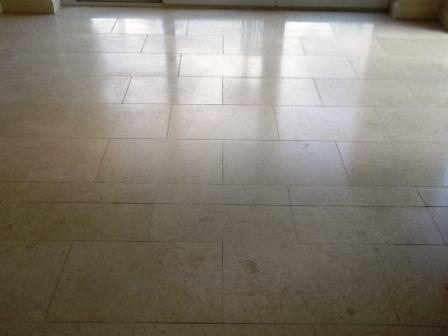 Owners of stone floors really need to take care not to use acidic products to clean their floors as this slowly eats away at the stone; you get the same problem from pet urine which contains Uric acid. I cleaned the floor using Tile Doctor Pro-Clean along with the diamond coated burnishing pad system and then sealed with Tile Doctor Colour Grow which is great for bringing out the colours in stone. 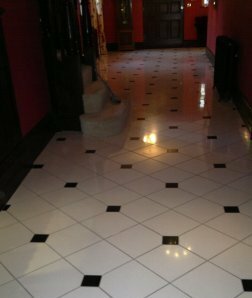 After sealing we polished the floor with Tile Doctor Shine which is a crystallising powder that provides a very high deep shine and tough durable finish. 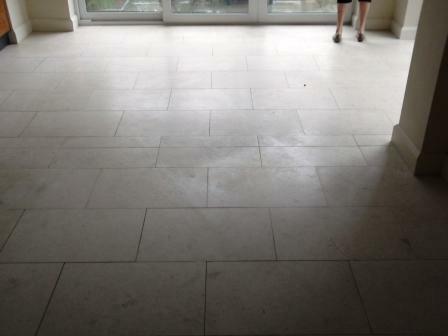 All in the entire Limestone Floor restoration took two long 12 hour days however our efforts were rewarded by the look on the faces of the new owners who were over the moon with the finished job. 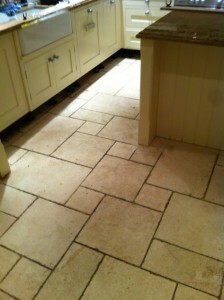 Original Source: Jerusalem Limestone Restoration by Tile Doctor Lancashire.